Much as your author tries to deny it, it is now winter. The weather is awful, everyone is tired all the time and you can't sit down outside. It's not Christmas yet, whatever the advertisers say, but it's time to get used to the coldest time of year and look for ways to make it better. As I'm sure anyone who has passed the park has noticed, over in Hyde Park, they've got wise to this, and erected a temporary shrine to all things wintry on that lucrative patch of grass where they put festivals in the summer. 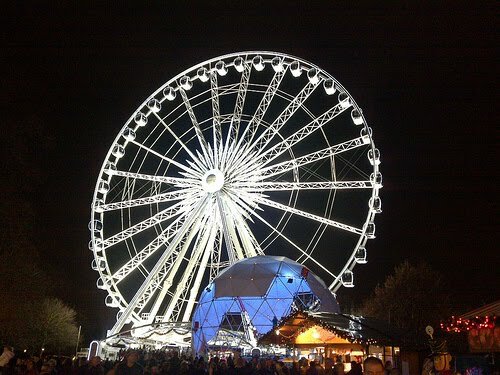 In amongst the fun, there's London's largest ice rink, a giant Ferris wheel and a tent for Zippo’s Christmas Circus. There is also a German Market with 50 chalets, a North Pole Slide and plenty of Christmas oriented fun and games. The only problem is that it all comes at significant cost. The pub is also the birthplace of the Salvation Army, as it was outside the public house which previously stood on the site that William Booth, founder of the organisation, gave his first open air sermon in 1865. The pub itself was built in 1894 on a site previously occupied by another inn. The pub is named after Henry de Montfort, a son of Simon de Montfort, the famous leader who called the first directly elected parliament in medieval Europe. 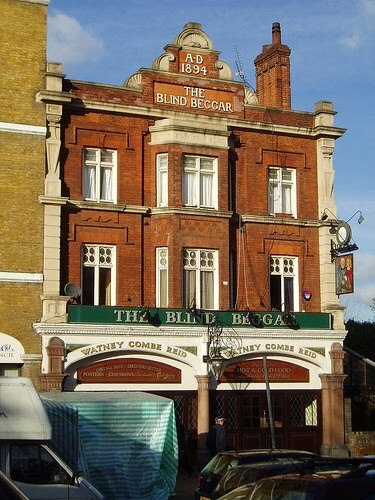 Henry was apparently wounded and lost his sight in the Battle of Evesham in 1265, and used to beg at the crossroads, becoming referred to as the Blind Beggar of Bethnal Green. Many of London's seemingly impenetrable institutions are actually more than happy to welcome you along if you scratch beneath the surface, usually for free. That's very much the case with the Royal Society of London for the Improvement of Natural Knowledge, better known as the Royal Society, in Carlton House Terrace, just off Pall Mall. 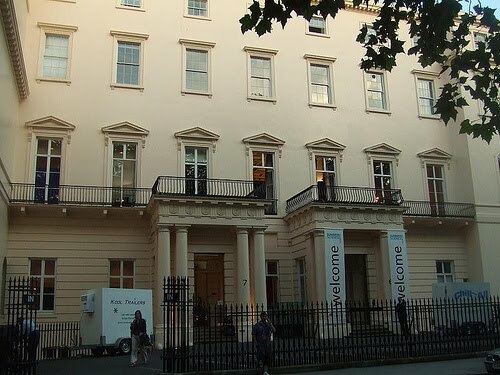 It is the oldest scientific society in existence, and is the Academy of Sciences of the United Kingdom. The Society was founded in the 1660s, and has moved a number of times in its long history. In 1710 it moved to Crane Court in the Strand, by the 1780s it was at Somerset House, and in 1857 it moved to Burlington House in Piccadilly. In fact, it wasn't until 1967 that it moved to its current location. Standing right beside the A40, a short distance from RAF Northolt, are four conical mounds, the the tallest stands at 26 metres. These are part of Northala Fields, one of London's newest parks, opened in 2008, and were constructed using waste material from the original Wembley Stadium the new Westfields shopping centre. The mounds shield the rest of the park, created on the former Kensington and Chelsea's Playing Fields site, which includes a model boating lake, play areas and an amphitheatre, from the noise and pollution of the A40. The project cost £5.5m, and started in 2000, but Ealing Council hit on a cunning plan to reduce costs, charging £70 to £90 per lorryload to dispose of spoil from the Wembley and Westfields sites, and using it to build the mounds, allowing the developers the added bonus of only transporting it 10 miles rather than the usual 100 miles to a landfill site. The Market Coffee House, opened in 2001 on Brushfield Street overlooking Old Spitalfields Market, is run by Peter and Kay Sinden, a builder and City economist team who seem to have a pretty good idea how to run a nice cafe. Some parts of the building itself apparently date from the 17th century, and it was formerly a warehouse for the Spitalfields fruit and vegetable market. The beautiful panelled interior was put together using the salvaged interior of The now closed Bell public house in Carter Lane, and salvaged oak from Hawksmoor's Christchurch, Spitalfields. It is a lovely place to escape for a few minutes for a nice cup of tea, though your author did balk a little at being charged £8 yesterday for a cup of tea, toastie and a can of pop. Those behind the till seemed to think this was perfectly acceptable so we carried on. 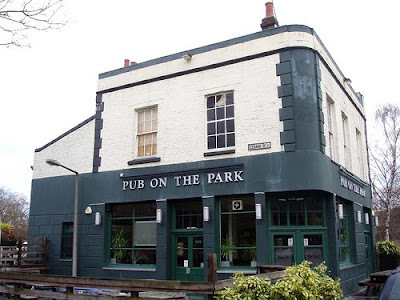 Formerly the Queen Eleanor public house, the Pub on the Park is a great spot in summer, with its large terrace overlooking London Fields, but its not bad in winter either. There is a well stocked bar and a reasonably priced food menu and it's always at its liveliest when showing Saturday afternoon sport, which it does very well. 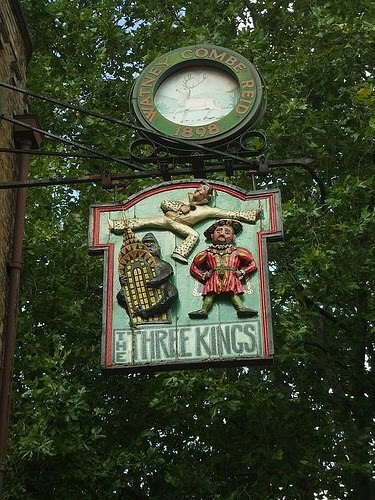 The Three Kings of Clerkenwell, on Clerkenwell Close, is a great little pub in an area which is lucky enough to be full of them. Will the Guardian's decision to move to Kings Cross have an impact on this the rich seam of excellent establishments, with less rich upper middle class Guardianistas to rinse away their cash there? Who knows. For now, let's just embrace them. Your author sometimes feels he writes too much about pubs, but when you have so many excellent ones in town, and there are other countries in the world with none at all, he thinks this is fine. The Three Kings is a cosy little pub with an eclectic interior with a range of art-school rhino head and chinz style features, but not too much to make it overbearing. It's a friendly place too, with an excellently stocked bar and food at lunchtimes and in the evenings, and when your author once stumbled into an upstairs poetry reading by mistake he was asked to join in, so we can add welcoming to that. 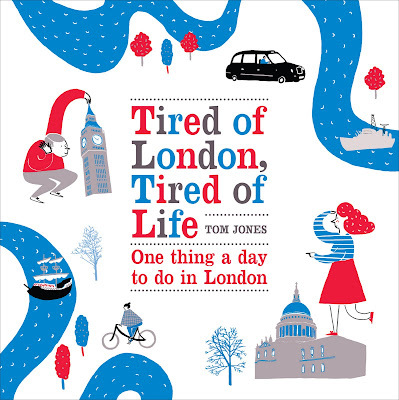 For more information, click here to see a review from the Guardian kids themselves. 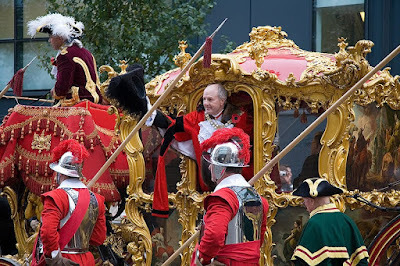 It's tough to get a ticket to be on the pavement today in some areas of Westminster, but in others, if you pick your area well, you might catch a glimpse of every tourist's most sought-after London celebrity-spot, and one of the year's greatest displays of pageantry. This morning, the Queen makes her journey from Buckingham Palace to the Houses of Parliament in order to open the Parliamentary session for another year. She's not the only one to be making the journey, and if you keep your eye out you will be able to see a number of royals and hangers-on all dressed up in their finery. 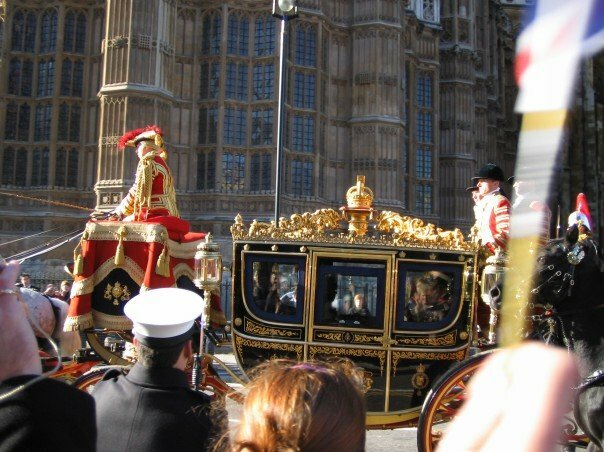 The Crown even has its own carriage. Down on Whitehall and Parliament Street, guards line the route and military bands play to anticipate her arrival. The Queen arrives in a horse-drawn coach, entering through Sovereign's Entrance under the Victoria Tower. The Royal Standard is then raised over the Houses of Parliament and remains in place until she leaves. She then dons the Robes of State and the Imperial State Crown in the Robing Chamber, using a small worn throne that has been used by every monarch since Queen Victoria, and then proceeds through the royal gallery, usually accompanied by the Duke of Edinburgh, to the House of Lords, where there is a grander throne upon which she sits. After the summoning of the Members of the House of Commons by Black Rod, she then gives a speech to announce the legislative programme for the next Parliamentary Session, which as it can only last until June at the very latest, is likely to be a controversial one this year. Bit of a one for those who live in Hackney this, but it also helps to underline how much our city has expanded over the years. St Augustine's Tower, just off the Narrow Way in Hackney Central, is all that remains of the parish church of Hackney of St Augustine. Built in the early 16th century, and formerly a place of worship for many noted dignataries including Thomas Cromwell, constant increase in Hackney's population meant that galleries were added to the church, by the 1780s it was no longer big enough to hold the constantly growing parish, and consequently the main church building was knocked down in 1798, in order to build the new Church of St John-at-Hackney, often using the old stone as building material. 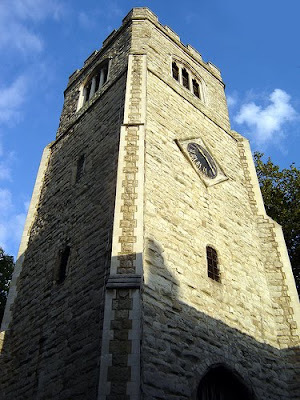 After the eight bells of Hackney were relocated to the new church in 1854, the tower was for a while used as a public mortuary, and a tool shed, before eventually falling under the care of The Metropolitan Borough of Hackney in 1912. Ever since then it has been preserved for the Borough, either by the council or heritage organisations. 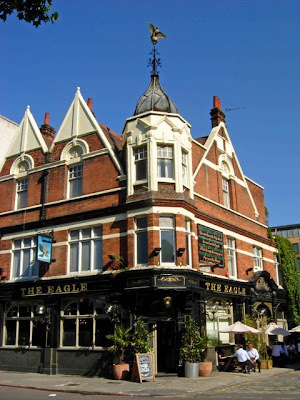 Another piece of East London trivia relates to The Eagle, on City Road. You may be aware of the site, even if you have never been to the area, for the Eagle plays a key role in the nursery rhyme, "Pop Goes the Weasel". A bit of digging in the London Encyclopaedia tells us that the rhyme probably refers to the music hall which was here as early as 1825, and this makes sense because the earliest record of the rhyme is in a music sheet acquired by the British Library in 1853. After being a music hall the building became a Grecian Theatre, playing host to melodrama, music and ballet, and it was not until the early 20th century, after demolition, a rebuild and brief spell as a Salvation Army centre, that it became a pub. It remains a pub, albeit one full of loud music and poser kids who spend too much time on their hair, to this day, but still manages not to quite be as rubbish as some places in the area. Tuesdays are wine night, where a bottle of wine is £7.95. Avoid the quiz, as when your author last visited on quiz night the chap who ran it was unfeasably annoying and loved the sound of his own voice more than life itself. Near the site former site of the Thames Ironworks and Shipbuilding Company in East London, is Bow Creek Ecology Park, redeveloped into an urban nature reserve with streams, ponds, footpaths, observation points and seats. The park also features an external classroom from local children. 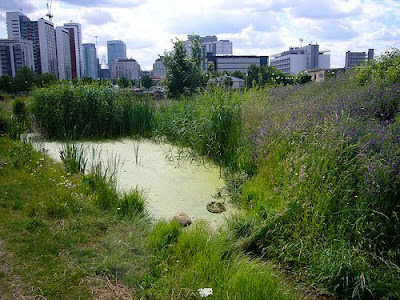 The park is on a peninsula at a bend in the River Lea, which it shares with the DLR between East India and Canning Town, and is home to a range of flowers and insects during the summer months, when ponds teem with newts and Water Scorpion. At low tide, the mud at Leamouth also attracts flocks of waders such as Redshank, when they are in season. For more information, visit the Lee Valley Park website here. 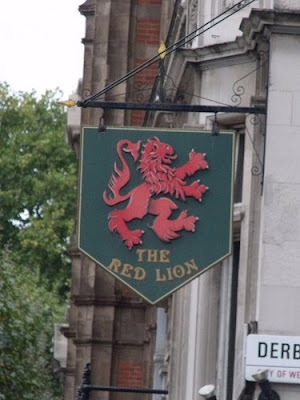 The Red Lion, on the corner of Whitehall and Derby Gate, is a magnet for politicians and civil servants, despite being overpriced and at one time allegedly suffering from a dubious bill of health from Westminster City Council. 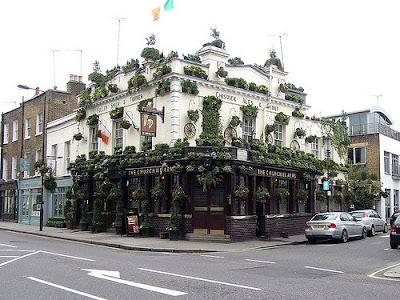 The pub sits across the road from 10 Downing Street, the Treasury and the Foreign and Commonwealth Office, and is also surrounded by office buildings for the Houses of Parliament and the Department of Health. Despite its prices, this pub is synonymous with Westminster drinking culture, and it was even here that the Government chose to announce their change in licensing laws in 2005, rather than in one of the numerous bars inside the palace itself. The current interior is late 19th century, but there has apparently been a pub on this site for much longer, and politicians, civil servants and journalists have drunk here in equal measure for generations (sometimes literally). In fact, so much part of the machinery of Government is the Red Lion that your author once heard a rumour that a replica had been built in the Cold War nuclear bunker to which the Government were to be evacuated in the event of an attack. On most afternoons/ evenings you can still find a Member of Parliament propping up the bar, providing you know who you are looking for. If you have trouble spotting one, watch for someone dashing out of the door when a loud bell sounds. The Parliamentary division bell is installed in all local bars to make sure they don't miss key votes. Whether or not Sweeney Todd was based on fact or urban legend, he came to fame through a serial titled The String of Pearls, which was published in the 1840s. 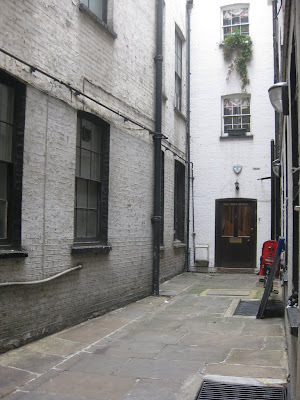 In the story, his barber shop is at 186 Fleet Street, beside St Dunstan's church, and is connected to Mrs Lovett's pie shop in Bell Yard by a secret passage. Todd murders his customers by slitting their throats and then pulling a lever to drop them through a trap door into the basement. As your author remembers the tale (second hand, admittedly) Mrs Lovett then assists him by baking the flesh into meat pies, and the bones are stored in the crypt of St Dunstan's. Whilst 186 Fleet Street is now, rather unatmospherically, a branch of Kall Kwik, to the rear, with access down the side of the next door shop, Hen and Chickens Yard still has an air much like it might have done in the mid-1800s and you can imagine Sweeney Todd stood at the door, beckoning you inside. The only problem is that nowadays it smells overwhelmingly of wee. 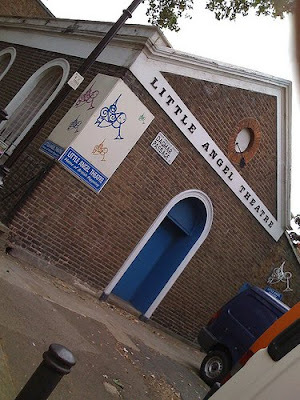 The Little Angel Theatre, on Dagmar Passage in Islington, is a 100-seat puppet theatre, established in 1961 in an old temperance hall. Aimed at people of all ages, but particularly appealing to children and families, the theatre uses every type of puppet and draw their themes, styles and stories from around the world. The Theatre also holds puppet clubs for children and beginner and professional evening courses for adults, where you can learn how to make and operate puppets. The Churchill Arms, on Kensington Church Street a short distance from Notting Hill Gate Tube, is a lovely traditional pub which is as beautiful on the outside as it is inside. Like many London pubs, the Churchill serves Thai food, and here it is cheap, good and in ample portions, a cut above the usual Thai pub fare, and great value considering the location. Indeed, your author seems to recall hearing that this was one of the first pubs in London to serve Thai food, so this is an original. It does get very busy, and last time your author was in he struggled to get a table, but didn't have to wait long, so efficient were the attentive staff. So why not pop in next time you're in the area. 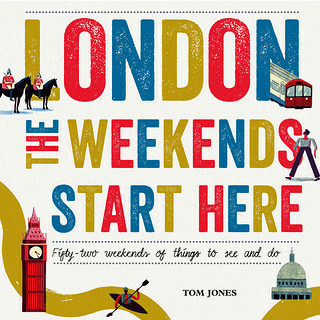 For more information, check out the Time Out review. Today is Remembrance Sunday, and National Service of Remembrance will be held at 11am at the Cenotaph on Whitehall to remember those who have given their lives for their country in wars around the world. 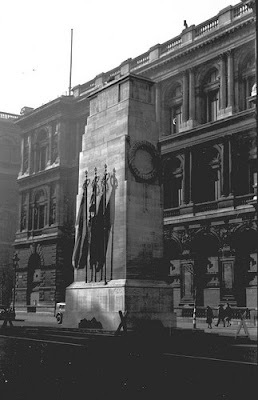 The monument to them, which stands on Whitehall, was designed by the imperial architect Sir Edwin Lutyens, constructed between 1919 and 1920 in Portland stone and is a Grade I listed building. There is no decoration, except a carved wreath on each end and the words "The Glorious Dead", which were chosen by Rudyard Kipling. Today, hundreds of veterans and ordinary people will visit to remember those who are no longer with us. They will be joined by the Queen, the Duke of Edinburgh, the Prince of Wales, the Duke of York, the Princess Royal, the Duke of Kent, the Earl of Wessex, Prince William, the Prime Minister, the Leader of the Opposition, leaders of other major political parties, the Foreign Secretary, the Commonwealth High Commissioners and representatives from the Army, Navy and the Royal Air Force, the Merchant Navy. Even if you do not make it down for the service, it is always an appropriate spot for quiet contemplation. Whilst a museum was founded here in 1872, using money raised from the Great Exhibition of 1851, and reusing an old building relocated from museum-land in South Kensington in 1866, it not until the 1920s that the now V&A Museum of Childhood, in Bethnal Green began to on children, and in 1974 it became a specialist museum of childhood, at the request of the then Director of the V&A. The building is now Grade II listed, and recently underwent a £4.7 million refurbishment, reopening in December 2006. 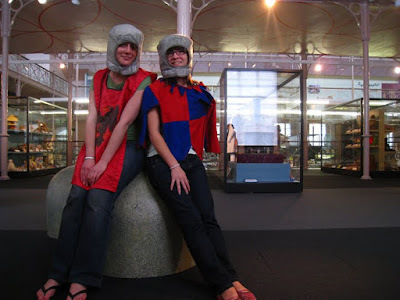 It is now home to the largest collection of children's objects in the country, and whilst you don't have to be a child to visit, it does help if you can cope with endless kids running around shouting, something which your author is not used to. It is a very interesting museum though, and particularly as museums are few and far between in East London, your author is very happy it is here. Entry is free and the museum is open 10am until 5.45pm Monday-Sunday, and 10am until 9pm (surely past the bedtime of some visitors, on the first Thursday of every month. For more information, see http://www.vam.ac.uk/moc. Big Ideas is a series of philosophical events held in pubs in London, held roughly monthly, open to the public, and devoted to developing the pub argument into a legitimate form of intellectual chat. Each event apparently begins with a question, and someone with relevant expertise giving a short talk, followed by a discussion. The organisers are keen to stress that Big Ideas isn't affiliated with any political, religious or other organisation, and they don't have any particular agenda. The question for the next event, to be held on 24th November at the Wheatsheaf just off Oxford Street, is "What Use is an Imaginary Social Contract? 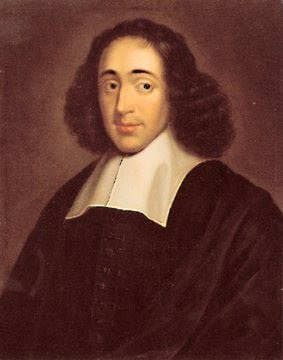 ", in celebration of the birthday of the rationalist philosopher Baruch de Spinoza. 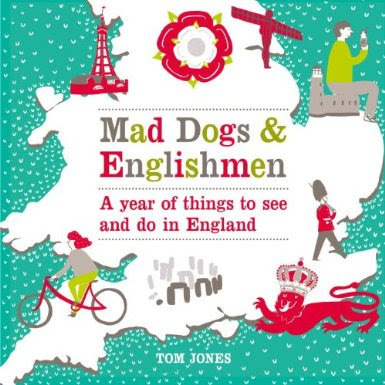 Upon the news that the BT Tower is to reopen its restaurant for the Olympics, which will, at 620 feet, make it once again the highest accessible point in London, your author suddenly realised he didn't know where in London was the current holder of this title. 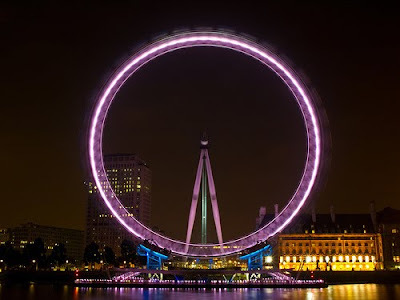 Rather predictably, a bit of research uncovered that it was none other than the London Eye. The most successful of all the millennium projects, when it 'officially' opened in December 1999, it was the world's tallest ferris wheel at 443ft. Whilst this has since lost this title it remains the largest in Europe. In terms of height, however, it is only the seventeenth highest building in London, coming below Guy's Tower, the tallest hospital building in the world, and above Wembley Stadium, the tallest stadium in the world in the rankings. Both are visible from the top on a clear day. The BT Tower, meanwhile is the fifth highest in London, after the big three in the Docklands' Canada Square, and the Crystal Palace Transmitter. Since the public opening in March 2000, the Eye has taken more than thirty million guests on a 'flight' in its 32 sealed egg-shaped cabins, which each weigh 10 tonnes and hold up to 25 people. The wheel rotates at 0.6 mph and one revolution takes about 30 minutes. This year a '4D Experience' before you take the trip was added by an entertainments company. Your author has absolutely no idea what this means. The artist otherwise known as Dylan Mills now has multiple number one singles and various musical accolades, but he had a tough upbringing, raised as he was, "years ago on a run-down housing estate in Bow" by his Ghanaian mother, Priscilla, (his Nigerian father died when he was two). Though he now lives in Kent, and occasionally sounds off about Bow, he still admits he goes back all the time and loves it. It was here on the Bow/Poplar borders that Dizzee got his break, partially as a result of founding Roll Deep with other Bow-based MCs in 2002, but initially as a result of his work at Langdon Park school, and the support he received from the then Head of Arts, Tim Smith. 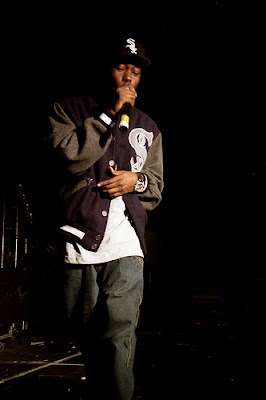 Dizzee was, by all accounts, a disruptive pupil, but particularly took to Mr Smith's music teaching, and using Cubase music software during year 10 to produce some of his first music. This led to his joining summer holiday music workshops with Tower Hamlets Summer University, and his mother buying him some first turntables. The rest is history. Langdon Park School is on Byron Street/St Leonard's Road, E14. Read more about Dizzee and Tim Smith in an article here or here, or for more about the school you could possibly try here. 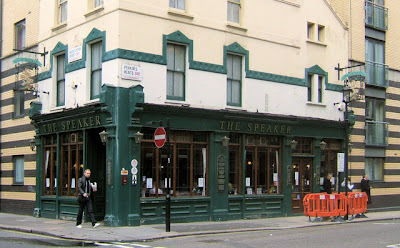 Westminster suffers from a dearth of truly lovely pubs, but the Speaker bucks that trend with style, tucked away as it is on Great Peter Street not far from Parliament and Westminster Abbey, in the heart of civil-servant-land. Named after that small chap who sits at the front of the MPs and says "Order, Order", the Speaker is a good ales pub, with friendly staff and a good atmosphere. This is a traditional place, with no music, big screen sports or shouty lager kids. It's also, like so much of the area, only open weekdays, from noon until closing, with very rare weekend openings for special events and festivals. All said, it's a pleasant spot if you're looking for a drink in the area. They also have a very limited sandwich menu at lunchtimes. For more information, click here. The Gallery Cafe, in Bethnal Green, is a pleasant oasis beside the York Hall leisure centre and the Bethnal Green Museum of Childhood. The cafe is run by St Margarets House Settlement, a charity devoted to providing space, opportunities and support to charities and community organisations in Tower Hamlets. It is all vegetarian, but don't let that put you off, as the cafe has a great atmosphere with reasonably priced drinks and a lovely conservatory, looking out onto a pretty little garden. There is free wifi internet, and enough tables that you will hopefully not struggle for a seat. There is also a useful community noticeboard if you're looking for other things to do in the area. The Gallery has an alcohol license and holds free weekly live music on Fridays, and open mic nights on Wednesdays. There are also comedy nights and art exhibitions. Thomas Becket was born in Cheapside around 1118 AD, the son of rich merchants. He went on to become Archbishop of Canterbury from 1162 until his death, and is venerated as a saint and martyr by both the Roman Catholic and Anglican churches. Appointed to the post by his friend Henry II, as a person who the king thought was very much on his side, Becket soon went native, and his friendship with the king was tested as he stood up for the church in its disagreements with the king. In 1164, he was even forced to flee briefly to exile in France, only returning in 1170. The situation didn't improve when Becket excommunicated the new King, Henry the Young King in York, for having his coronation in York as opposed the traditional, church-chosen venue of Canterbury. Subsequently, in 1170, four knights, believing the king wanted Becket out of the way, assassinated him in Canterbury Cathedral. 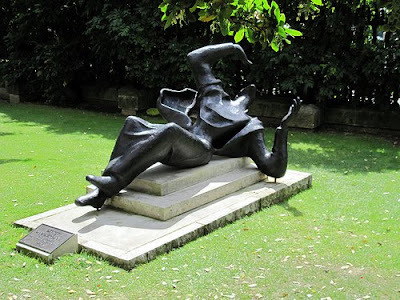 In 1973, a statue to Becket falling to the ground, designed by Edward Bainbridge Copal, was erected among the bushes on the south side of St Paul's cathedral. Your author presumes it may be symbolic of the three blows it apparently took to make Becket fall down upon his assassination, following which he is said to have offered himself a living sacrifice, and said in a low voice, 'For the name of Jesus and the protection of the Church, I am ready to embrace death'.